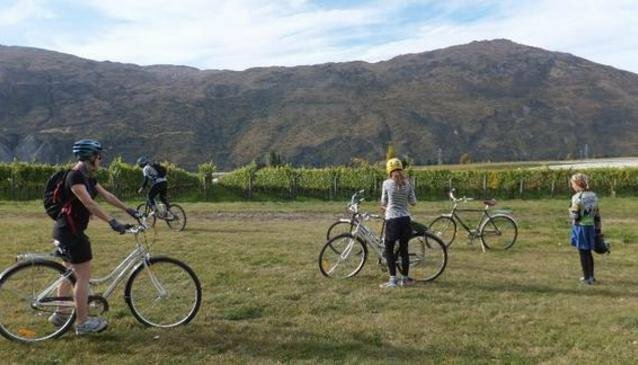 Relaxing guided bike tours around the stunning Gibbston wine region, including cellar door wine tastings, picnic lunch and bike hire. Exclusive access to the Gibbston River Trail that is part of the Queenstown trail network and the New Zealand Cycle Trail. Cycle de Vine, was set up by New Zealand adventurer, Greg McIntyre, to take advantage of the many gentle cycle trails in and around the Gibbston area. Each tour has an experienced, local guide, and you'll get exclusive access to Department of Conservation land that other bikers don't get to see. You'll be picked up from your Queenstown/Arrowtown accommodation and driven to the sumptuous Gibbston wine region, where you'll begin your journey around the Gibbston back roads. The cost of the tour includes return transport, bike and helmet hire, wine tastings, and a picnic. Please note, the Cycle de Vine tours are seasonal, operating from early October.